Micro USB cable SD modified for Nintendo 3DS/3DS™ XL and New 3DS/3DS™ XL consoles previously customized with Micro USB connector. Allows NAND console reading/writing from computer. Possible NAND unbricking via external programmer (not included). NB : This cable requires the addition of an USB SD/MMC card reader for the MMC NAND detecting by the computer. Requires the integration of a Micro USB connector 3DS. Requires the integration of a Micro USB connector 3DS XL. 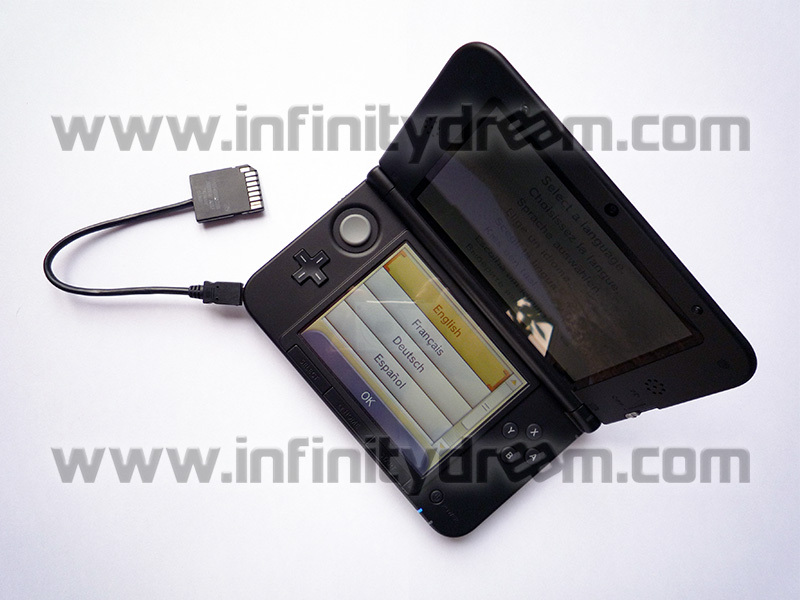 Requires the integration of a Micro USB connector New 3DS/3DS XL.